A cut in price from $1.50 to $1.20 sees demand for a product rise by 10%. What would the price elasticity of demand be for this product? Please select an answerNo, have you got the formula upside down?No, this would mean the percentage changes were the same and they're not!Yes, well done.No. Have you calculated the correct percentage change in price? A firm increases its price from $8 to $12 and sees demand for the product fall by 20%. What would the price elasticity of demand be for this product? Please select an answerYes, well done.No, this would mean the percentage changes were the same and they're not!No, have you got the formula upside down?No. Have you calculated the correct percentage change in price? What type of good would you expected to have a negative income elasticity of demand? Please select an answerNo, this type of good would have a positive income elasticity because the demand for them rises as income rises.Yes, the demand for these goods falls as incomes rise and so the income elasticity is negative.No, these normally have a strong positive income elasticity.No, this is a good where demand rises as the price rises. It is therefore related to price and not income. If disposable incomes rise by 5% and the income elasticity of demand is known to be 0.5, what change in demand would we expect to see? Please select an answerNo, this would only be the case if the income elasticity was 2. If income elasticity is positive, then, if income increases, there will always be an increase in demand.No, this would only be the case if the income elasticity was 1. If income elasticity is positive, then, if income increases, there will always be an increase in demand.No, this would only occur if the income elasticity was negative. If income elasticity is positive, then, if income increases, there will always be an increase in demand.Yes, well done. If income elasticity is positive, then, if income increases, there will always be an increase in demand. If a price cut does not lead to an increase in revenue, we might infer that the demand for this product is? Please select an answerYes, well done. If a good is price inelastic, then a cut in price will lead to a smaller proportionate change in demand. This will mean that revenue earned from the good will fall.No, this refers to the effect of changes in income. You need to look at the price elasticity.No, a price cut would boost revenue if it were price elastic.No, this refers to the effect of changes in income. You need to look at the price elasticity. If the price elasticity of demand for a product is known to be (-) 2.5 and the firm cuts the price of this product by 5%, what change would we expect to see in the demand for this product? Please select an answerNo, have you got the formula upside down?Yes, well done. From the price elasticity we know that the change in demand will be two and a half times the change in price. A cut in price will lead to an increase in demand and the increase will therefore be 12.5%.No, have you used the formula correctly?No, have you put the correct data into the formula? If the price elasticity of demand for a product is known to be (-) 0.5 and the firm increases the price of this product by 10%, what change would we expect to see in the demand for this product? Please select an answerNo, have you got the formula upside down?No, have you taken into account the minus sign?No, have you used the formula correctly?Yes, well done. From the price elasticity we know that the change in demand will be half the change in price. An increase in price will lead to an decrease in demand and the decrease will therefore be 5%. If the price elasticity of demand for a product is known to be (-) 2.5 and the firm increases the price of this product by 5%, what change would we expect to see in the demand for this product? Please select an answerNo, have you used the formula correctly?No, have you taken into account the minus sign?No, have you got the formula upside down?Yes, well done. From the price elasticity we know that the change in demand will be two and a half times the change in price. An increase in price will lead to an decrease in demand and the decrease will therefore be 12.5%. In a recession, which sort of good would we expect to see a rise in sales for? Please select an answerNo, not at all!No, why would we need more of a necessity in a recession?Yes, well done. Inferior goods are ones where demand falls as income rises. As income falls in a recession, we would therefore expect to see a rise in sales.No, normal goods are ones where demand rises as income rises. As income falls in a recession, we would therefore expect to see a fall in sales. A cut in price from $75 to $60 sees demand for a product rise by from 1,200 units to 1,500 units. What would the price elasticity of demand be for this product? Please select an answerNo, have you got the formula upside down?No, this would mean the percentage changes were the same - and they're not!Yes, well done. Price has fallen by 20% and demand has risen by 25%. If we divide the change in demand by the change in price we get 1.25.No. Have you calculated the correct percentage change in price? If disposable incomes rise by 2% and the income elasticity of demand is known to be 1.5, what change in demand would we expected to see? Please select an answerYes, well done. We know from the income elasticity that the change in demand will be one and a half times the change in income. As income has increased by 2%, demand will therefore increase by 3%.No, have you used the formula correctly?No, have you used the formula correctly?No, this would only occur if the income elasticity was negative. The number is right but the sign is wrong. 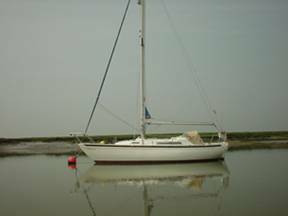 The image below shows a medium size yacht. What would you expect the value of the price elasticity of demand for yachts to be? Please select an answerYes, well done. Yachts would generally be considered a luxury good and because of the high proportion of income being spent on them, we would expect the price elasticity to be relatively elastic.No, unit elasticity means that demand and price change by the same amount. This is unlikely to be the case for yachts.No, we would generally expect the demand for necessities to be price inelastic. Yachts would generally be considered a luxury good and because of the high proportion of income being spent on them, we would expect the price elasticity to be relatively elastic.No, zero price elasticity means that there is no change in demand as price changes and this is very unlikely for yachts as they are generally considered a luxury. The image below shows cigarettes. What would you expect the value of the price elasticity of demand for cigarettes to be? Please select an answerNo, that's not right. 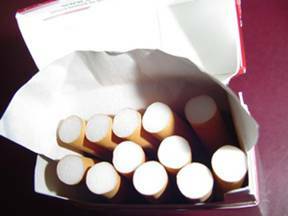 Cigarettes are addictive and so people tend to be less responsive to changes in price. This means that we would expect the price elasticity to be relatively inelastic.No, unit elasticity means that demand and price change by the same amount. This is unlikely to be the case for cigarettes.Yes, that's correct. Cigarettes are addictive and so people tend to be less responsive to changes in price. This means that we would expect the price elasticity to be relatively inelastic.No, zero price elasticity means that there is no change in demand as price changes and this is very unlikely for cigarettes as they are generally considered addictive. 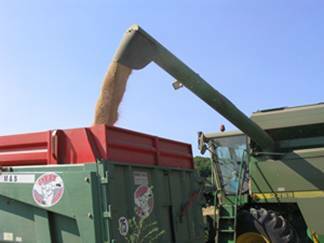 The image below shows wheat being harvested. What would you expect the value of the price elasticity of demand for wheat to be? Please select an answerNo, that's not right. Wheat is a necessity (as a raw material for bread and so on) and so people tend to be less responsive to changes in price. This means that we would expect the price elasticity to be relatively inelastic.No, unit elasticity means that demand and price change by the same amount. This is unlikely to be the case for wheat.Yes, that's correct. Wheat is a necessity (as a raw material for bread and so on) and so people tend to be less responsive to changes in price. This means that we would expect the price elasticity to be relatively inelastic.No, zero price elasticity means that there is no change in demand as price changes and this is very unlikely for wheat as it is generally considered a necessity.